By buying this product you can collect up to 54 loyalty points. Your cart will total 54 loyalty points that can be converted into a voucher of 5,40 €. Stores energy (from electrical or natural light) and produces light with an autonomy of 14 h.
The size of the mouillere has been defined taking into account the outside of your shoes. 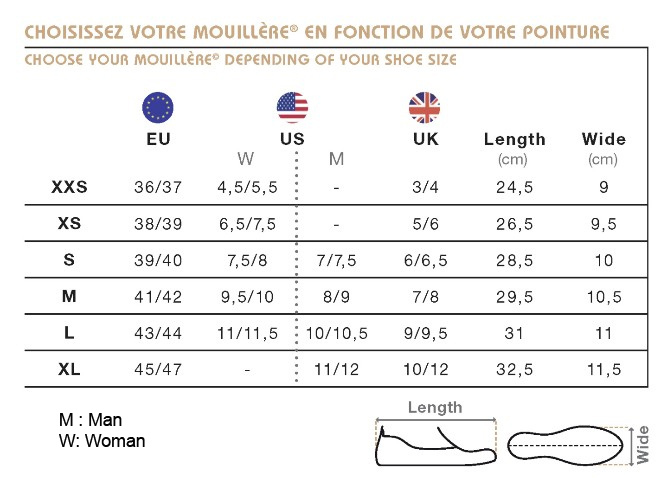 Therefore you can choose your mouillere size directly from the above table. 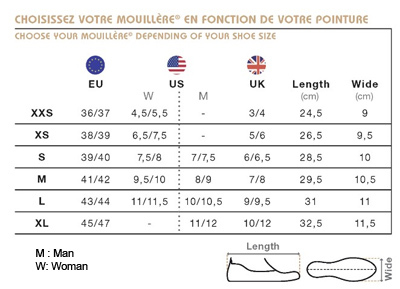 To be able to fit on a large number of different models of shoes , the mouillere® is quite narrow at the end. First, you have to put on the front part of your shoes , then you pull the back of the overshoe to cover the heel. 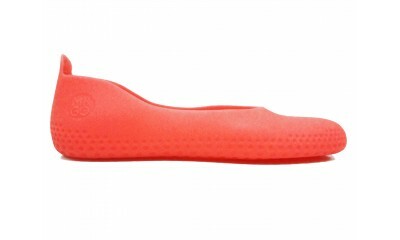 With the tongue of the overshoe you can adjust the mouillere®. This is how it will be the most beautiful. You can personnalize your mouillère either manually with a pen or by laser (in this case please send a HD file of your inscription and add a contribution of 5€). It is advised not to use overshoes on escalators.